When you manage PPC for a living, you know there is always a risk of losing your accounts. They might be taken over by someone who did an account audit to convince the advertiser that you don’t know what you’re doing. In my opinion, the reality is that there is no such thing as a perfectly managed account. Audits need to be framed in the right context because it is always possible to pick on someone else’s strategy. No matter how much you disagree with their strategy, few coaches who lead their team to a championship are fired. What does that look like in PPC? Uncover structural issues before they weigh on performance. Manage the account to meet and exceed targets. 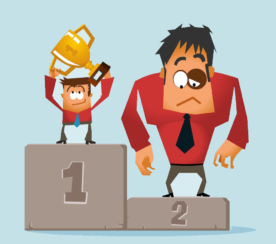 Share your results so you don’t leave the boss guessing about your value to the organization. Step 1 is about doing proactive audits. I’ll cover free tools from Google to do this in this post. Step 2 is about having the right strategies in place. That’s a huge topic but you can read my other posts here on Search Engine Journal to get a sense of what I like to do. Step 3 is about having a good tool and process for reporting. 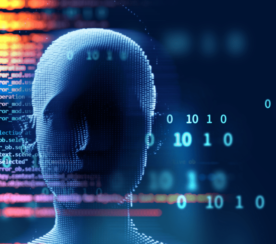 Many audits are at least partially generated using automations so it’s good to know what tools are out there that your competition might be using. One of the newer free audit tools is the Ads Editor 1.0. I was on the team at Google that created the then AdWords Editor so the tool isn’t exactly new. But its ability to evaluate the structure of an account with rules only came along in version 12, the last version before the AdWords Editor was rebranded to the Ads Editor. Along with the new brand and its visual refresh, 11 new features have been added to Ads Editor 1. The one I want to focus on today are the new custom rules which are basically a form of PPC audits. These five new rules now bring the list of prebuilt rules to 27. The best thing about these rules is that you don’t need to learn the syntax for writing rules to take advantage of the tool. To use the custom rules, start by upgrading to the latest version of the Ads Editor or download it from Google’s site. Next, pick the account you want to work with and download it to your local storage. 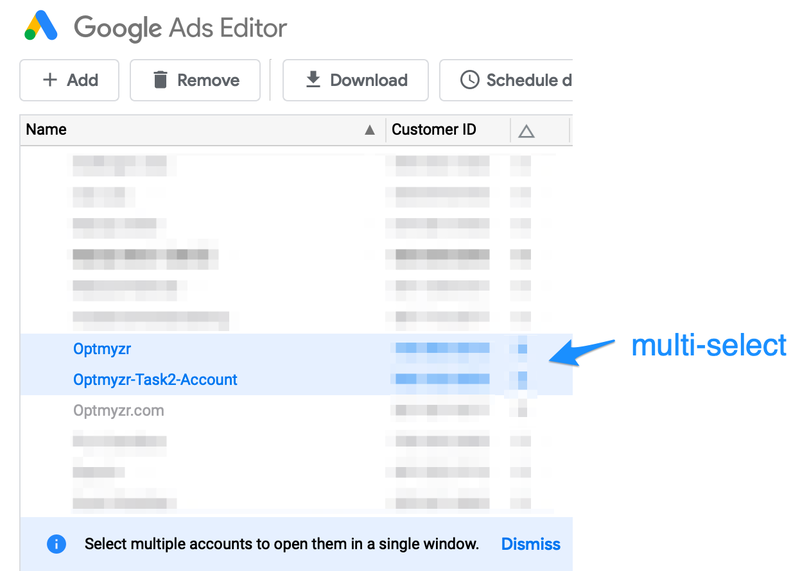 New in this version of Ads Editor is the ability to open multiple accounts together in a single window. During an audit, you can see all the issues across all the open accounts on one screen but the findings won’t be aggregated. So if you have too few sitelinks in two accounts that are part of the same advertiser, you’ll have to manually combine the findings from the two accounts to create a nice consolidated report that you can present to the advertiser. Remember, the Ads Editor works with a local copy of your Ads account so you’ll have to periodically ‘Get recent changes’ to make sure that your audits are using the most current version of your account. Many other audit tools like the WordStream Account Grader or Optmyzr Audits (disclosure: my company) are delivered through a SaaS offering so these have a live connection to the Ads API and there’s no need to do manual refreshes. To see the audits, navigate to “Account Level” >> “Custom Rules” where you’ll find the 27 built-in rules from Google. Some of the built-in audit rules along with how many items in the account don’t meet the requirements of the audit. From here you can double click on the number of violations to apply a filter to a view of the affected items. That way you get a list of things to fix. You can even apply multiple filters together to find the most severely impacted items in the account first. You can also create your own audits with the advanced syntax explained in Google’s help materials. The Google Ads report editor has two predefined reports that provide auditing capabilities. While not as powerful as the Ads Editor due to the more limited syntax for defining what to check, they’re one of the quickest and easiest ways to ensure you don’t miss some obvious opportunities to manage accounts better by using all the right settings and extensions. A big benefit of these reports is that you can combine the structural analysis with performance data. A problem with audits in large accounts is that they can turn up far more potential deficiencies than what can be addressed in a reasonable amount of time and many of those warnings may be for elements that have little impact on the account. Unlike in Ads Editor, the Reports can bring in data about performance so that advertisers can filter issues for only those campaigns where costs exceed some reasonable threshold that warrants spending time fixing them. 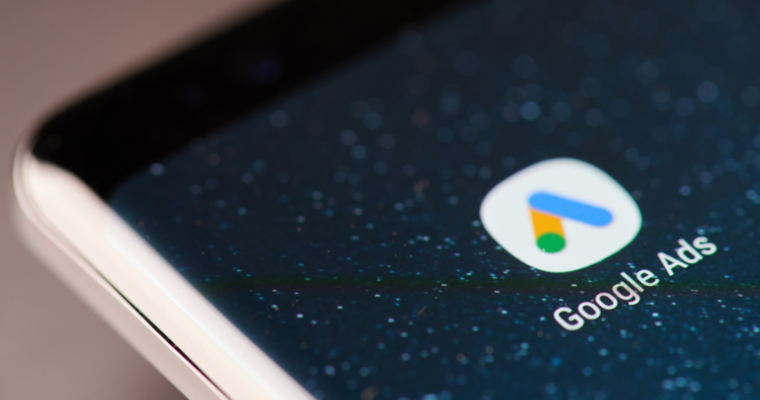 While Google has translated the old dimension reports for campaign and ad group details into these newer reports, don’t forget to dig around the customization a bit as you may discover some audits that are of interest to you. For example, if you use Smart Bidding you could add the Target CPA to the report and filter for any values that are far above or below your typical CPA targets. 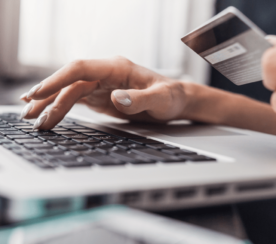 Staying on top of the structural integrity of a large PPC account can take a tremendous amount of time unless you have tools and automations to help you with audits. 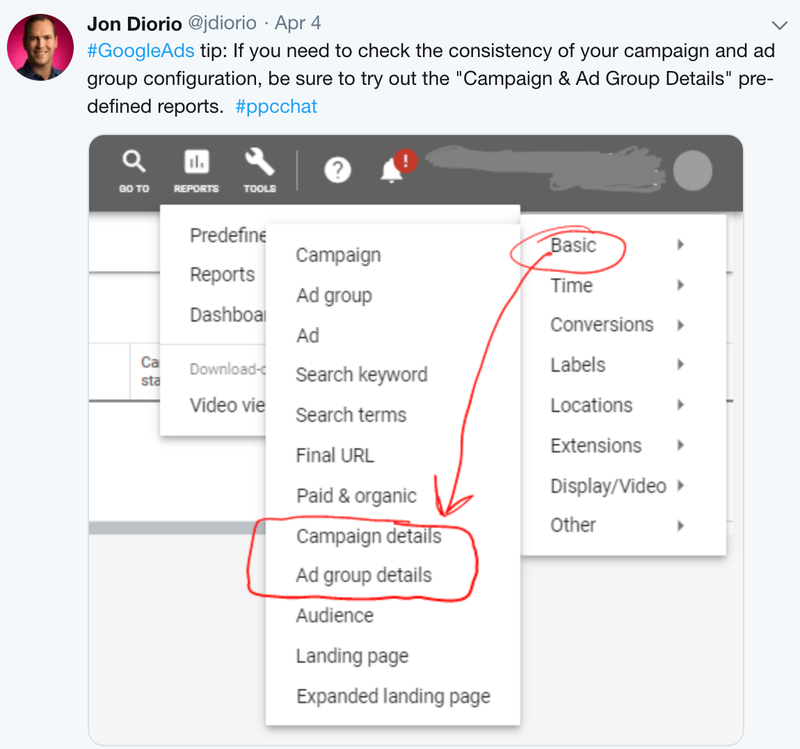 While there are many free PPC auditing tools available, it’s always worth trying Google’s own offerings, like those in the new Ads Editor and the Reports tab of Google Ads.